Michael Goist is a contributing guest writer for CelebrityTypes. While at the time of this writing, Beethoven is not yet added to the site, Goist here states his case for why Beethoven is INFP (in contradistinction to Lawrence Bevir’s more conceptual allusion to Beethoven as a possible INTJ here). This article does not reflect the views of the site admins, but Goist‘s own insights and assessments, which are not necessarily the same as those of the site. Classical composers are rarely discussed in depth by typologists. A general lack of interest in classical music is one obvious reason. The difficulty and often piecemeal nature of the historical sources is another. However, at the time of this writing (2016), a general (if ill-researched) consensus of Bach (ISJ), Mozart (SFP), and Beethoven (INTJ) nevertheless appears to have formed. The popular assessment of Beethoven as INTJ is intuitively understandable. As far as stereotypes go, INTJ is of course the perfunctory assessment of any genius of robust character that succeeded in leaving their mark upon the world. Moreover, Beethoven is documented to have had many temperamental dispositions associated with INTJs, such as a forbidding and arrogant introverted demeanor, a burning passion for the social liberty of the individualistic loner, and a disdain for authority and the aristocratic elite. Today we remember Beethoven as a diehard revolutionary who, whether by genius or pure force of will, single-handedly changed the face of music over a span of 25 years. Casting a cursory glance at the general pattern of Jungian typology available to us, we could be forgiven for thinking that he would fit the same mold as Rand, Nietzsche, Hitchens, Tesla, et al. However, what distinguishes a true analysis of someone’s type from a mere game of stereotypes is, in part, a prolonged engagement with the sources available to us – those prolonged testimonies of cognitive activity that allow us to go beyond the emergent figure that has etched itself into our collective perception as part of popular culture. For this reason, Beethoven’s letters and the written testimonials penned by the people who knew him will be of far more value to us than a post hoc analysis of how Beethoven supposedly changed the face of music. Onward, then, to the sources. The implications of Goethe’s characterization are clear enough: As an Extroverted Feeler cognizant of consequences and inclined to stir the dispositions of others to work with each other (rather than against each other), Goethe is eminently aware of the difficulties created by Beethoven’s predisposition for pursuing his own sentiments to their furthest possible extent before stopping to take stock of the reactions of others. Since at the time of this writing, no one seems to seriously entertain the possibility that Beethoven was an Fe/Ti type, I will not dwell too long on this point. However, should one wish to do so, one could easily multiply these examples with testimonies bearing witness to Beethoven’s predilection for inner sincerity and own-feeling over courtesy, propriety, and fellow-feeling. Might we then, from this general assessment, conclude that since Beethoven was often at odds with his associates and with the general customs of his time, we are dealing with the infamous INTJ brusqueness, roughness (when viewed through the lens of Fe), and perhaps even arrogance? It is not out of the question. So let’s examine further. If Beethoven were INTJ, Introverted Intuition would have held the primary sway over his psyche. As Ryan Smith and Eva Gregersen have pointed out in their work, “Ni submerges previously assimilated insights from consciousness only to suddenly have them resurface as ingenious, creative new syntheses” and “goes from the many to the one.” Introverted Intuition is represented structurally as convergent motion, in which several fragments are absorbed unconsciously and developed over time, to finally converge on a holistic unified vision of great explanatory power. This cognitive process does fit Beethoven (superficially, at least) in a number of cases. For example, we learn from music historians that Beethoven’s initial compositional style was a synthesis of various fragmented styles that he had assimilated during the early years of his career. We also see that from the early 1800s and onwards, Beethoven’s self-labeled “neuer Weg” (new path) leads him forward into new creative territory – his so-called Heroic period, in which he comes into his own as a composer and writes a large number of his most famous works. Would this be a flash of Ni, perhaps? Perhaps. Again, one could certainly be forgiven for concluding that based on the movements of music history and Beethoven’s place in it. However, we also learn from music historians that Beethoven’s early tendency to synthesize is really nothing special, but simply how most young composers who later made a name for themselves operated – Bach, Handel, Mozart, and so on. Unless one is prepared to argue that they were all INJs, the synthesis argument really shouldn’t carry much weight. Then there is the question of musical history. Again, when viewed from the outside, Beethoven’s place does seem to fit that of an archetypical INTJ. But again, this archetype should not carry the same weight in our analysis as the direct evidence we have concerning Beethoven’s personality. Personally, I understand full well how some of the tidbits of arrogance and brusqueness could be marshalled to suggest Ni and INTJ as the correct type for Beethoven’s psyche. However, I believe that the counter-case of Extroverted Intuition in Beethoven’s psyche has been rather under-argued and under-researched. So let’s look at the case for Ne. In my estimation, the sources present us with evidence of Ne, not quite as obviously as Fi, nor quite as frequently; but the evidence is certainly there, and to a far greater extent than one could marshal evidence of Ni in Beethoven’s psyche. The sources would thus appear to suggest Fi and Ne as Beethoven’s functions, and not Ni. If correct, this would of course rule out INTJ and ENTJ as Beethoven’s type, since NTJs direct their intuition inwards, not outwards. If the primacy of Fi and Ne are agreed to, it would thus leave us with only two possible types for Beethoven: ENFP and INFP. Was Beethoven Introverted or Extroverted? At the time of this writing, the general consensus on Beethoven is that he was an introvert. However, many of these arguments are based on behavioral criteria for introversion, which, as the site admins have previously pointed out, are not really relevant for the Jungian criteria for introversion and extroversion. Yes, Beethoven was shy, a loner, kept to himself, and so on. But none of this precludes being an extrovert in the Jungian sense. So how can we know if he was a true Jungian introvert (i.e. putting subjective considerations before objective ones) or whether his demeanor merely made him seem like an introvert, according to these behavioral (and thus inapplicable) criteria? From a function-based approach to typology, this will be extremely difficult, since ENFP and INFP have all of the same functions, in almost the same order. Still, one way is to look for the degree to which Beethoven’s Fi was beholden to pure ideals vs. the degree to which it was bundled up with real-world considerations. For a full treatment of this difference, I refer to Jung’s original portrait of the Fi dominant type in Psychological Types, as well as Eva Gregersen’s elaboration of that text, Inferior Te in INFPs and ISFPs, found here on the site. Ryan Smith’s Jung in Plain Language: Fi will also be helpful here. In their cognitive life, IFPs are, all else being equal, more prone to fashion parallelisms of a purely artistic nature, where their values can be expressed in a parallel reality (e.g. through art and fiction) without being tainted or deluded by outside influences. As the CelebrityTypes writer Boye Akinwande has also pointed out, the intensification and purity of these values is the end goal itself for IFP types. With EFPs, however, the individual immediate perceptual engagement with the outside world is much stronger and bundled up with current events and agendas. Through their Fi, EFPs can typically put a uniquely personal spin on the issues of the day, which already preoccupy and hold sway over so many minds. But (again all else being equal), EFPs are more inclined to let their cognitive life gravitate toward the present-day affairs that they see the people of their day engage with. In Beethoven’s case, my reading of the sources suggests that he was more preoccupied with pure value abstractions (as Jung says of the Fi dominant type) than with the real-world affairs and considerations of his times. 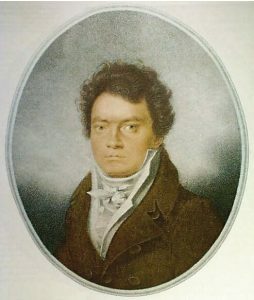 While Beethoven did in fact voice a number of political remarks during his lifetime, Beethoven biographers like Lewis Lockwood have nonetheless reached the same conclusion, stating that Beethoven was not preoccupied with applying these ideals to the real world. Indeed, he appears to have been fascinated with the ideals of the radical Enlightenment and the anti-monarchist tendencies contained therein, but by and large (and unlike Wagner, for example) never appeared to have much of a drive to realize these ideals. As Beethoven’s own remarks make clear, he first and foremost thought of himself as inhabiting a world that was clearly a utopian realm, separate from earthly reality and its nature. In his Beethoven biography, Maynard Solomon walks us through Beethoven’s conflicting perspectives on Napoleon. If one merely read Beethoven’s remarks on Napoleon at face value, one might easily be forgiven for thinking that Beethoven’s cognition was greatly beholden to immediate, real-world events as they unfolded around him. However, what such a perspective would miss is the fact that Beethoven had already formed a consummate subjective ideal of what the ideal ruler should be like prior to having heard of Napoleon. In Beethoven’s mind, the ideal ruler did not want power for power’s sake, but for the sake of bringing change and social harmony to the people through the promotion of the ideals of the Enlightenment. The Tertiary Function: Sensation or Thinking? Conversely, we might also look at the ways in which tertiary Si tends to manifest in INFPs. Just as with INTPs, the tertiary Si in INFPs tends to lend a slowly developing, meticulous and archiving quality to the INFP’s exploration of their inner values and the parallelistic inner world that they create. A good overview of this process can be found in Jesse Gerroir’s article Another Look at INTP, found elsewhere on the site. In Beethoven’s case, we know from Lockwood and others how he famously kept his elaborate sketchbooks so carefully over so many years that in the end they contained a complete compilation of his own artistic development. According to some of his biographers, these personal records are more illustrative of his artistic genius than the finished works he published. Indeed, while Beethoven’s finished scores could sometimes be haphazard, the notebooks, which contain a wealth of pre-compositional material, are both elaborate and intact. In his famed attachment to them, Beethoven was at any time able to look back over the details of his personal, idealistic, and artistic development, as well as the formative background against which they took place. When I started my research, I expected Beethoven to come out as INTJ. As mentioned, many of the stories and themes that surround Beethoven seem to rank up with the classical pointers for INTJ. Think, for example, of the grandeur and archetypal artistic themes channeled by many of Beethoven’s larger works – struggle, victory, and a burning passion for radical change in the service of some grand idea. Is this not evidence of Beethoven being an INTJ? The answer is that it could be, with the right information to back it up. But in my estimation, Beethoven’s struggle as a composer was not a struggle to see his ideas manifested in reality (as is indeed, by popular consensus, the struggle of most INTJs). In Beethoven’s case, his struggle was, in my opinion, an inwardly personal one: the struggle to validate and redeem his inner sentiments in the face of an uncomprehending public, an entrenched musical establishment, and – most of all – his own sense of alienation and inability to fit in with the external world. Such a struggle for the authentication of individualized sentiments is, in my opinion, the struggle of any FP type. Why will you not add Beethoven, Mozart and Bach to this site? Wagner was typed here as ENTJ at some point but got removed. Why? I wish they wouldn’t remove people. Tom Hanks and Billy Crystal were ENTPS at one point I believe. I do, however, understand why they removed a certain ESTJ prophet. Did they explain why T. Hanks and Billy Crystal were removed? Also, Muhammad might not be ESTJ actually. Impressive argument! After seeing Theresa May get put on this site, I hope Beethoven gets included here as well! I wasn’t alluding to Beethoven as a possible INTJ so much as suggesting his music might hold a particular appeal to them because it mirrors the structure of their thoughts. That said, I think many of the quotes from him here point more towards dominant introverted intuition than dominant introverted feeling. “True art is imperishable, and the true artist feels inward pleasure in the production of great works”. Beethoven does not speak of art as private, subjective self-expression, as is common for INFP artists, who often emphasize the value of the creative process rather than the final artistic product itself (and contrast that process with utilitarian, structured, Te-style activity). Because of this focus on process over results, INFP artists tend to judge art not based on the qualities of the work itself but on whether or not it reflects the authentic self expression of the artist. Art, for the INFP, is valued because it is a personal domain of playful and spontaneous activity exempt from the common goals, standards, and benchmarks that come in to play in everyday life. For Beethoven, in contrast, the artistic process is “production”, not play. The artist’s joy comes from achieving something great, rather than merely being free to express himself. The authenticity and purity of the artist’s creative process is irrelevant, what matters is that the artistic product is “imperishable” – that is, aligned with the timeless and archetypal. For Beethoven, the defining aspect of the “true artist” is not uncorrupted self-expression but the capacity to produce great work. That seems very uncharacteristic of INFPs, who, because of inferior Te, are generally very uncomfortable with judging art according to impersonal criteria, and with judging people according to what they can produce. Correspondingly, while many INFP artists have railed against critics, their objection is usually to the very idea of criticism, of passing judgment on the product of another’s self expression. Beethoven, however, has no a-priori objection to judgments and standards, he just thinks critics use the wrong standards and that his are more fitting. Music’s Rousseau. Great article about a beautiful man. Robin: The admins have a limited amount of time, and either too much material to sort through (in the case of Wagner) or too little (in the case of Bach). It’s much easier and cost effective to type contemporary pop stars, and to be honest, the majority of readers probably seek out those typings rather than those of Beethoven et al. AA: It’ll be a few days until I have the length of time necessary to address your point directly, but I promise I’ll get to it eventually. “I want to seize fate by the throat.” –Beethoven. Sounds like NJ to me. And I guess we won’t disagree about Te/Fi over Fe/Ti. So for me, an NTJ or SFP, but really an ENTJ or INTJ. INFP? don’t think so. I think you make some good points in your article regarding Beethoven and the INTJ aesthetic. Symphony No. 9 is particularly relevant in that regard, and for me it’s actually the very beginning of the symphony that is significant. Every time I hear that opening, I’m reminded of, “INTJs keep circling their vision, amplifying its cognitive connotations…” etc. And it also makes logical sense that a text by Schiller (INTJ) would be accompanied by music that matches the character of Schiller’s output. That said, with the exception of No. 5, I think most of Beethoven’s symphonies reflect a different kind of aesthetic. Symphony 7, for example, is about as ESFP as you can get. On the whole, I think the fact that Beethoven cycles through so many different aesthetic choices – not only in his symphonies, but in all his works – is circumstantial evidence more in favor of an NFP typing than of NTJ or SFP. As for your analysis of the quotes, I think you may be reading into those a little bit too much. As I mentioned in the article, Beethoven frequently described his artistic world as a utopia. To that, I would add that ‘truth’ was a virtue that was very important to him, something that he strongly associated with authenticity of the self. In that context, “True art is imperishable” more accurately suggests: “Art that is the product of the authentic soul will never be destroyed or forgotten,” i.e. truthful art is self-evidently great, timeless art. The important thing in the second clause is “inward pleasure” – the individual sentimental reaction of the artist to having produced truthful/great works of art. Both clauses reflect Fi, in my opinion. And, even if they don’t, Beethoven does speak of art as private, subjective self-expression many times elsewhere, whereas allusions to things like structure, workmanship, and real-world goals are notably absent. So, Fi > Te, by a long shot. If he does have Ni, it’s probably no stronger than tertiary, making him ISFP. But then, we would also have to argue that all the evidence that points to Ne is actually evidence of Se. I think you’re also equating a focus on the finished product with Te, regardless of the process. I obviously can’t speak for every INFP artist, but I tend to think that because Fi is, at heart, a judging function, the INFP *would* place more emphasis on the quality of the final product than we might believe. If they are picky about the artistic process, it’s because to them, the final product shouldn’t be merely serviceable, utilitarian, and come in on time and within budget (Te), but rather should be *perfect* i.e. complete, well-considered, fully fleshed-out and authentic to their artistic selves, with no stone left unturned in the process. Of course, free play happens in the process, and that will often generate ideas, but it’s not the ultimate point in-and-of itself. So, both Te and Fi dominants desire to reach the conclusion of a project, but go through respective processes of completely different length and scope. Now, ENFPs, being dominant perceivers, would place the kind of ultimate importance on free play that you’re attributing to INFPs, and be happy with leaving things open-ended. Beethoven’s improvisation sessions, which were unhinged, extroverted idea generation, seem more reflective of this Ne mindset (see Dylan Shapiro’s article on Bach for a good Si/Te contrast regarding improvisation). But compositionally, Beethoven was closer to the Fi side of things as discussed above, disregarding things like deadlines and being very protective of works that were important to him. “Beethoven, however, has no a priori objection to judgments and standards, he just thinks critics use the wrong standard and that his are more fitting.” Yes, this would indicate Fi or Ti, not Te, right? Personal criteria for judgments and standards = introverted judging. Your assumption here is that Fi types always withdraw their personal judgments from the public sphere. Beethoven had clear objections to what we may call “industry standards,” thinking them to be plebeian rather than noble and virtuous (“…as the cobbler has his last…”); but he was often very assertive in pronouncing his own opinions, something that often got him into trouble with friends and acquaintances. Regardless of his behavioral style, the fact remains that his judgments were wholly personal, and at all times, he was hesitant to speak objectively on behalf of any group, whether it be in terms of values (Fe) or standards (Te). Likewise, he was also hesitant to engage with either, except in order to defend his own values. then it seems more Fi than anything, at least to me. The second quote is actually two different quotes from the Heiligenstadt Testament, spliced together. By the way, when a type is strongly or somewhat linked with a certain style, what does that even mean? Does it mean that the mechanics of a type bear a resemblance to the mechanics of a style, or that most or some people of that type are a certain style? numericneume makes good points when putting the fate quote in context. I am starting to change my mind. Wait, wasn’t Beethoven was an alcoholic/drunkard? I thought that detail would be included to be an example of unheakthy use of inferior Se? But never mind, his Moonlight Sonata has the feelinhs that does sound like what an INFP would compose. There are signs that Beethoven had alcohol dependency issues, especially later in life. In fact, liver failure is one possible cause of his death. With other supporting evidence, that may be tied to inferior Se. However, addiction can happen to any type. I think the admins would probably tell you that inferior Se is more accurately linked – among many other factors – to either complete asceticism or sudden, immoderate sensory binges, with not much in between. I think I was incorrect in my reply to AndrahilAdrian about the Avoidant – Narcissistic/Antisocial style. If you can get your hands on a copy of “The Character of a Genius” by Peter J. Davies, it contains a very thorough documentation of instances of LvB’s negative personality traits. Davies makes an excellent case for Beethoven having a Paranoid style, possibly in conjunction with a Narcissistic style. That also fits circumstantially if you consider that Beethoven has sometimes been compared to Rousseau, who is INFP/Paranoid on your site. I’m hoping to have some more material on LvB in a few weeks for OJJT. He’s a fascinating character. I’ll keep you posted. Moght want to have a look at Beethoven’s originsl compositional manuscrits. That data contains first hand examples of how he physically undertook his compositional process and through that one can glean a bit about his petsonality. Unlike Bach ot Mozart and many of his own contempories, he did not through-compose but was more of a master architect who struggled with the masonry – he was an inconsitent brick layer – often scratching out and rewriting notes, measures and sections over multiple times to finally reach the complete piece on paper that he held in his mind. To me, that shows a very commom intj trait of struggling with the execution that are common with those masterminds. Most intjs are misread by others – I would base less credability on analysis based on third party accounts regardless of word or text lenghts. Read his manuscripts – they belie more than hypotheticals in online articles…. A TYYYYYYYPINGGGG! MY KINGDOM FOR A TYPING! Whether or Not Beethovan was INFP is not something I can comment on, but I have a disagreement with the tertiary Si part. I don’t believe this is an indicator of Si or that it has anything to do with any of the cognitive functions. Si is something internal that happens within a person is has nothing to do with keeping diaries/journals etc. Don’t forget many artists/creatives do this type of thing. Just contrast Beethoven with Schubert, an obvious INFP. Beethoven’s music feels way more singular and grandiose than Schubert’s, who’s music runs wild and free with his imagination. Ni/Se versus Ne/Si is obvious here.